Every single day across South Africa incidents occur with people getting hurt or even worse. 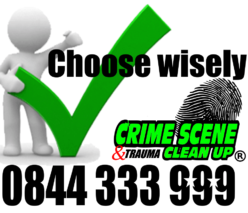 Crime related, self inflicted, industrial accidents, etc. Especially when crime hits a place where business is conducted and the area changes from safe to a place of tragedy and danger- and quite often resulting in a bio-hazard zone causing an unwanted situation that requires a professional cleanup service during all hours, day or night. Considering the current crime figures in the country, it became standard practice for retailers, manufacturers, transportation providers, hotel chains etc. to establish a relationship with CSC to act and assist when a situation occurs. CSC is the professional solution and always just a phone call away. Working with some of the largest companies in South Africa and offering unbeatable service and the best quotes to all our clients. Micro-Franchises were made available as we need to be able to assist all our communities, no matter where they are situated. Franchising is often regarded as one of the most successful business expansion mechanisms. But franchising might be more than just a successful business model: it is a successful development model, too. How so? 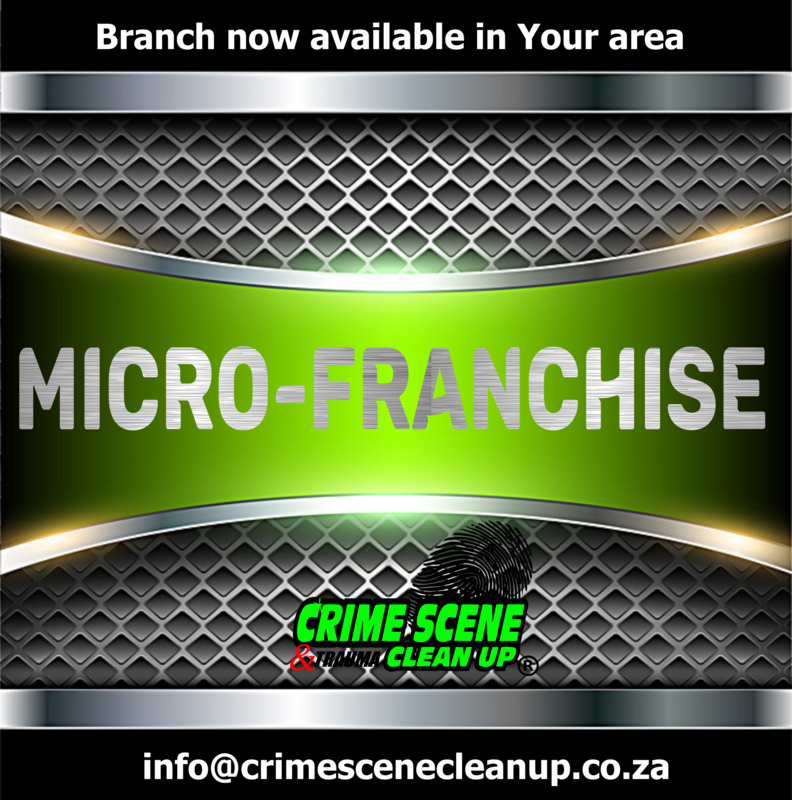 Because if we take all the factors that makes our franchises a success and apply them to smaller businesses in smaller towns – called micro-franchising – we can help those lacking the financial capital as would be needed to purchase a standard model franchise. A more sustainable solution is to use the proven concept of our current franchises to provide micro-business opportunities to the entrepreneur who has the passion but lack the finances. This model doesn’t require you to be a business boffin. In fact, that’s the strength of our franchises: we have a proven business model and system. This offers franchisees a road map covering everything from access to supply chains, equipment and products, to routes to market, marketing and brand awareness, all of which have been pre-defined and refined by the Franchisor. The franchise model provides the opportunity to learn the art of business by doing it in a very structured way. It also provides very strong support systems – operational, financial and emotional – to franchisees, which is important.